Hey guys. It's me, DJ AwesomeRob. I know its been a while since my last post so I just wanted to let you all know that yes, I am still playing Destiny. And loving it!! 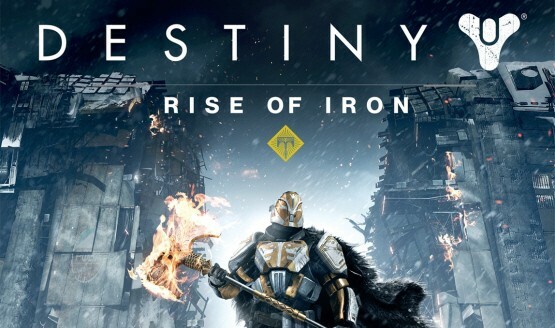 This week, Sept. 20th, the Rise of Iron expansion was released for Destiny. This marks the start of Year 3 for the game. I can't believe its been three years already! So much life has happened in this time. I would like to especially shout out to my beloved SherrysJoy who, sometimes begrudgingly, has put up with me racking up countless hours of playtime. Without her love and patience I would not be here today. So... Rise of Iron aka- ROI, Destiny Y3... even with the campaign completed I have yet to barely scratch the surface of the content included in this expansion. The light level has increased, there are new strikes, new competitive multiplayer modes, new cooperative modes, old content that's newly updated, and even the long awaited private matchmaking. At this point I can really only say that the campaign was awesome! The story behind what makes Lord Saladin tick is really interesting as he answers some questions in the lore while also bringing up quite a few new ones. We have come a long way since year 1 where the story was barely there, let a lone understandable. RIP #Dinklebot. The new cutscenes were beautiful and the sheer impact your guardian has on the world was definitely welcome. This expansion on Destiny was probably designed to be a send off for our original guardians since 2017 will (hopefully) bring Destiny 2 in the fall.... and it's bittersweet, but I am ok with that. The ending was appropriate and the massive additional content we received, and will likely see more of with holiday public events, should hold most players over until the next game. Anyway, enjoy my gameplay through the campaign of Destiny: Rise of Iron. Follow me on twitch so you will be up to date as I play more of the additional content. Who knows? Maybe I will have a guest guardian or two on for upcoming play-dates. Also, Twitch.tv/bigrob029 is the home of the DigiKast Live Stream Show! It doesn't stick to an official schedule, yet, so if you want to get down and listen to us chat about tv, games, and life you'll have to subscribe. DJ Cutman, who recently accepted me into the GameChops Ambassador Program!